Jacques van der Wilt takes a look at the ecommerce market in Sweden, Denmark, Norway and Finland, including the main shopping channels. This post is by Jacques van der Wilt, the founder of global feed management and optimization company DataFeedWatch. Collectively, Scandinavian countries – Denmark, Norway, Sweden and Finland – spent a massive €20.5 billion on ecommerce in 2017. With a high standard of living and the percentage of internet users continuing to rise, we are highly likely to see Nordic ecommerce spending rise rapidly as well. So, where do Scandinavians shop online and what are the current ecommerce trends? How do Scandinavians shop online? Spending levels vary, but purchasing habits are fairly similar across all four of the main Nordic countries. Clothing and footwear are the most popular products purchased followed by entertainment and home electronics. Subtle differences can be found however. For example, online grocery purchases are popular in Denmark whilst health and beauty products are purchased more in Sweden. Another notable similarity is the use of mobile phones as part of the buying process, and the rapid rate at which mobile shopping is increasing. Around 36% of Scandinavian shoppers used their phone to buy online in 2017, an increase of 10% over 2016. Those not directly purchasing via mobile are still using their smartphones to research products and compare prices. Despite its close proximity, Finland is miles away from Denmark when it comes to ecommerce spending. In 2017, Finnish shoppers spent only 26bn SEK online (around €2.5bn), which is only half the amount spent by Danish shoppers. Do Scandinavian online shoppers buy internationally? Scandinavia may not be an obvious choice for cross-border ecommerce, but over a third of shoppers buy from foreign merchants to access items that are not available in their own country. The U.K. and China are popular for cross-border purchases in Sweden and Norway whereas the U.K. and Germany are more popular in Denmark. Finnish shoppers prefer to buy from China and Germany. Why do Scandinavians shop online? Which are the top local shopping channels in Scandinavia? But what about shopping channels which are more unique to Scandinavian countries? 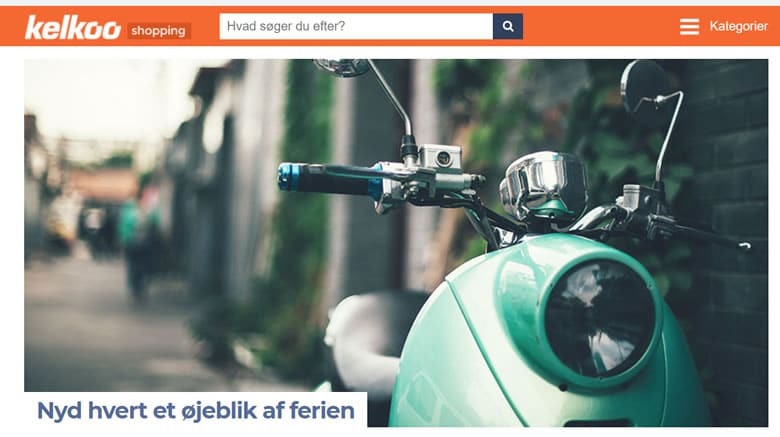 To help Scandinavians get the best deal (the second-ranked reason they purchase online), there are a multitude of comparison sites. Vertaa is one of the largest in Finland, allowing users to compare prices, delivery options and product reviews. 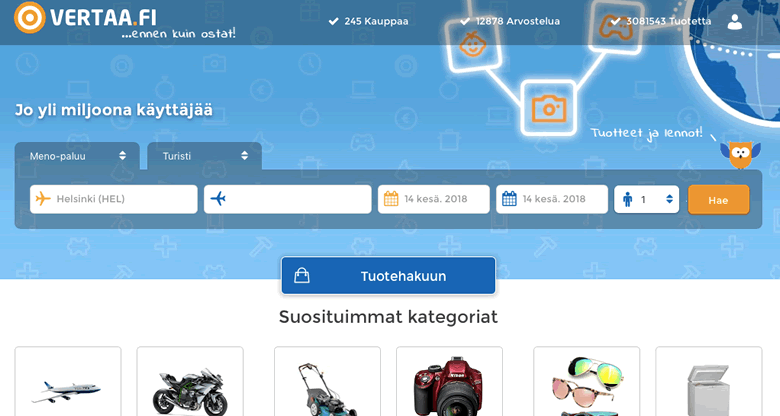 Finland’s biggest price comparison site overall is Hintaseuranta, allowing users to compare prices for both products and flights. For merchants, you can advertise your products by using one of three selling packages. These range from the basic package which requires the merchant to supply up-to-date pricing, to the turnkey package which collects information from your site on a daily basis. To get started, you need to register then provide a price file or ask Prisjakt to scan your site. The latter option is not recommended as it is less likely to update regularly. 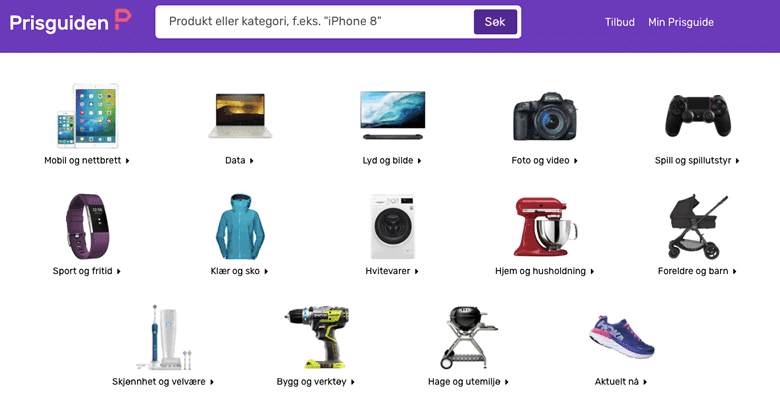 This time from Norway, Prisguiden is a price comparison site with 350 stores using it to promote 3 million products. With 525,000 users every month, Prisguiden was created to connect shoppers to the right product at the right time. Price comparison site Kelkoo helps thousands of merchants and travel providers reach more customers across 22 countries, including Denmark, Sweden, Finland and Norway. It offers a cost-per-click model meaning retailers pay each time someone clicks. An English-language sign-up page is available here. Shopalike is also a price comparison site, but focused primarily on clothing, footwear and soft furnishings. It is available in 12 European countries including Denmark, Sweden and Finland. Shopalike has over 600 online stores offering 30,000 brands, more than 22 million products and 2.5 million visits per month. PriceRunner is an international price comparison business which first started in Sweden nearly 20 years ago. Its fortunes have varied over those two decades, seeing site launches and then closures in Europe and the U.S. PriceRunner is available today in Sweden, Denmark, Germany and the U.K.
PriceRunner offers retailers the chance to list their products for free, with an option to include a link to their ecommerce site on a pay-per-click basis. Shopello started in Norway in 2014, and now has sites in Norway, Sweden, Denmark and Finland. Described as a “search engine for products”, Shopello has more than a million visitors per month and 1,000 merchants. Pricing is on a pay-per-click basis and the retailer can tailor their ads to their target audience to boost search relevance. Shopello provides an API and WordPress plugin so affiliate publishers such as bloggers can post product ads on their websites, and earn commissions when their readers click through. DBA.dk is a Danish person-to-person and business-to-consumer marketplace that has been owned by eBay since 2008. The platform attracts approximately 1 million users and an average of 275,000 new listings every month. Miinto is a fashion marketplace based in Denmark for over 2,000 smaller “boutique” stores to sell their items online. It also has sites in Sweden, Norway and Holland, each with their own network of independent fashion stores based in the country. 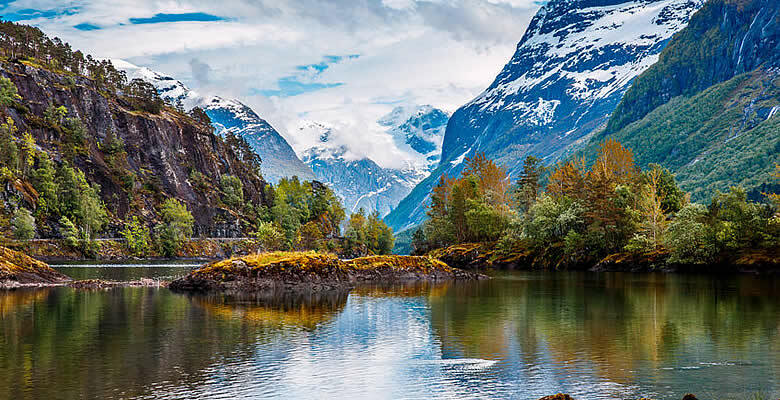 If you’re looking to expand your ecommerce reach, the Scandinavian countries of Norway, Sweden, Denmark and Finland could be a profitable option. It’s an affluent market with a limited product range available locally, excellent command of English (although they prefer to shop in their own language if possible), and consumers who are happy to buy from foreign merchants. You missed some important sites. How much you got paid for only publishing those listed? This is not a paid post. The only sponsored posts on the site are badged “Supplier Spotlight” and they say who sponsored them. Can you give us some website please.